Time's Up! Starting the clock over (again) . . . YES! 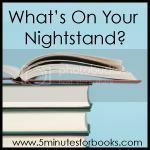 I feel very happy about this last month because I read everything that was on my nightstand last month! Start Your Family - check! The Wonderful Wizard of Oz - check! The Real Wizard of Oz - check! Last month was so successful that I think I'll only tell you about the four titles I purpose to read this month. It's an easier goal for me to reach, I think. Last month I told you about books I was planning to read for Reading to Know so this month I'll tell you about four books I intend to read for 5 Minutes for Books, with one exception. My friend Sarah at Library Hospital is hosting a Maud Hart Lovelace Challenge on her blog and I fully intend to participate in that. You might be familiar with her name because of the Betsy-Tacy books. I've never read them before and I'm glad Sarah is encouraging me in them. I picked up the first two books in the series from the library and I'm anxious to get to them. This book just looks plain cool. The premise is intriguing and I'm having a hard time keeping myself away from this one while I take care of other reading projects! Lastly, I've had this book on my nightstand before. I started it. And it's really interesting! But then I got sidetracked. 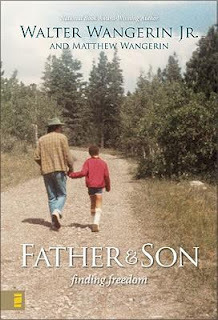 I need to pick it up and complete it which shouldn't be too hard because I was well into it and I know it's a good read. So, no one needs to make good on their threats of not leaving comments or unsubscribing if I didn't finish my Nightstand reads from last month! I followed through! I did it! Now I'm looking forward to seeing what everyone else accomplished! Hmmmm .... Jew Store looks interesting. You sure read a lot - but I would expect that with your blog :) The Betsy Tacy challenge sounds intriguing too; haven't read those since childhood. I'll be anxious to read your thoughts! I've never read any of the Betsy Tacy books, either! Looks like a challenge I might need to check out! We LOVE Betsy-Tacy at our house!! :) And I really enjoyed The Sacred Cipher. It is hard to put down. I saw the Jew Store somewhere recently and it seems like it'd be a good read. I've never read the Besty-Tacy series before either (or even heard of them until Sarah), so I'm thinking of looking for a copy. It makes me wonder what other good books I missed growing up. These all look like interesting titles, and as usual, I look forward to reading your reviews of them! 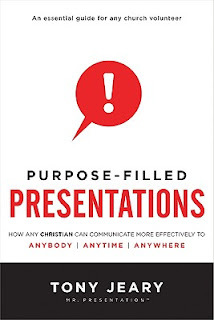 I love reading books about public speaking, too, even though I rarely do it. Something interesting about it; can't explain. Blessings to you! Congrats on getting through them all! I did too - it's a great feeling. Looks like some good ones for the month coming up too. That is a lot of reading for a month. Can't say I do it every month. These next three look GREAT! Haven't heard of any of them. But will add to my TBR list! Not my nightstand yet! I haven't read any of the Betsy-Tacy books, either. I only hear of them a few years ago. 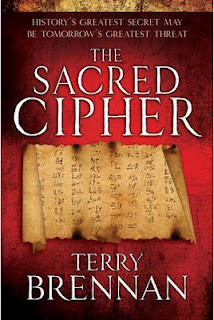 I really want to read The Sacred Cipher, I just can't find it at my local library. I've suggested it for purchase, so I'm keeping my fingers crossed. I love the Betsty Tacy books. They were childhood favorites. I cannot wait until my daughter is old enough to read them as well. The Secret Cipher looks intriguing. I will have to look for that one. I liked seeing the covers of your to-be-reads. Good idea! Congrats on meeting your reading goals. You got a lot of reading in during what sounds like a very busy season. Congrats on a great reading month in Sept. The Jew Store looks very interesting. I look forward to reading what you think. Looks like an interesting list. Happy reading. I've never read the Betsy & Tacy books. I may have to check those out! Congrats on reading all your books last month. Sacred Cipher was really good.